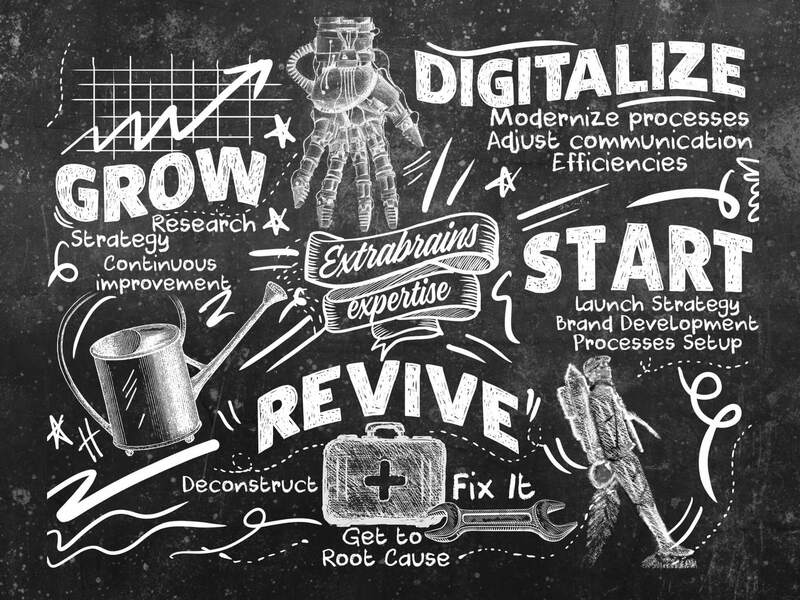 Extrabrains Digital Marketing Agency. From strategy to execution. Let’s rocket your sales to the new level in the next 3 months together! We make it happen or work for free until we reach our KPIs. All business owners and managers like you have the same objective – growing the business and having a better life. We are so action-oriented that it leads to a plethora of widely spread mistakes. Many of our clients jump into execution straight away. And the most common mistake is diving into paid ads. Of course! It seems logical to start doing paid advertising in search results and on social networks. We see so much of it every day that it must bring huge results to those who use it, right? Well, it doesn’t. Have you found yourself in a situation when you spend more on the ads than the revenue they generate? This is such an oft-recurring situation. Second common reason our clients come to us is the website they created that does not serve their business objectives. Third is the time wasted creating and posting social media content that nobody sees. No worries! We have an approach that proved itself most efficient across industries and in any country. And it's surprisingly simple! It’s not something new and it doesn’t bear a hyped name. It’s crazy how effective it is to do a thorough analysis of your customers, market and competition at the beginning of the journey. And then, creating a detailed strategy based on that analysis before starting the execution is a total game-changer. In order to get through the clutter that your clients face every day, we start with fundamentals. We analyze their pain points and fine-tune your communications in order for clear messages to reach your target audience right when they need them through the channels that are natural for them. Sounds basic? Well, actually the simplest things deliver the best results. The strategies that we develop aim to grab the attention of your customers at all stages of the sales funnel. By the time they are making their purchase decision, they perceive your company as the only natural choice. Results? Your sales rocket up! 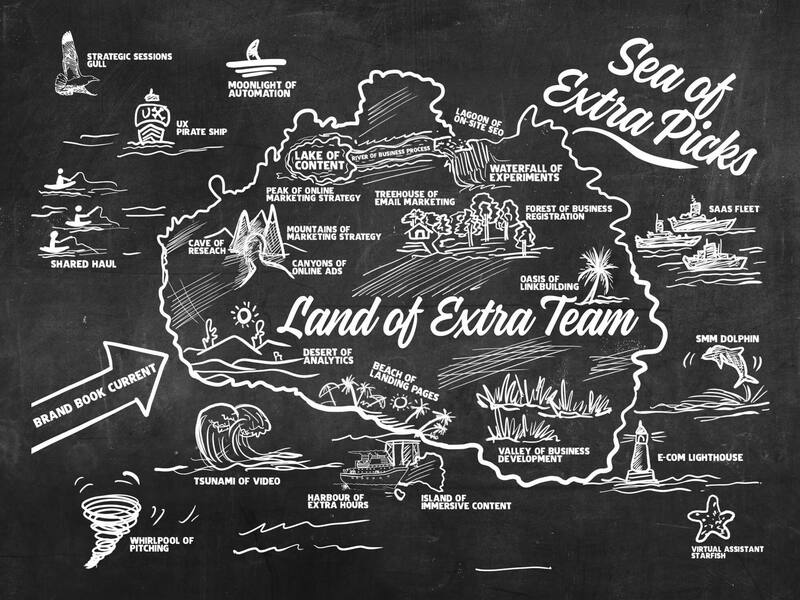 Business owners and managers just like you from North America, Europe, UK and Australia enjoy the benefits of working with Extrabrains. Many of them finally stopped worrying about future sales and spend time enjoying their life. Ready to enjoy the fruits of your hard work? Grab our FREE 30-minute strategy call right now. No obligations, no strings attached. We look inside your market, your competition and your current performance and offer you initial growth ideas completely FREE. Best part? We stand for the quality of our services. In case we don’t reach our execution KPIs in time, we’ll work for free until we do. Ready? Book now! Although we are growing our team quickly to accommodate all the requests, we still have a very limited availability. Don’t miss the chance to rocket your business! Ready to grow your business risk-free? One thing that all our clients share is losing the big picture and the true North Star of their business growth. We created this short checklist that helps us see whether we follow the right vector for ourselves and it’s one of our key tools. Hope it helps you revisit your growth strategy. Here at Extrabrains we understand you. We are entrepreneurs just like you and we fought up the corporate ladders in biggest global corporations as well. These experiences let us help you better. A good marketing agency delivers results that grow your profits. We want to be a great partner for you and focus not only on profits but also on the processes that generate them. 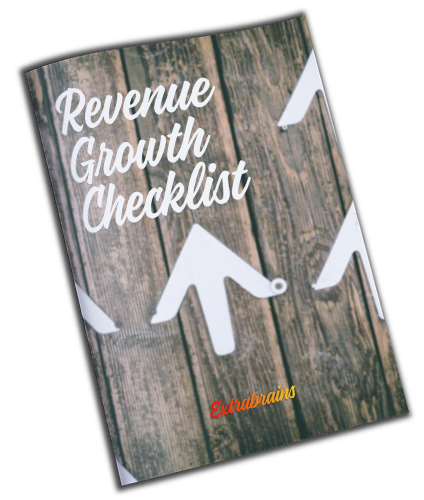 This way Extrabrains helps you run a more efficient business and grow faster. You want your business to grow as no one of your competitors does. We help our clients analyze where they are, create a clear strategy, select the most efficient tools and execute the right tactics. Managing all these steps allows us to guarantee great results. Great results for your business mean an exponential return on marketing investment that you do. Extrabrains helps you set up an effective system that will open the floodgates of new orders. Among our previous results are 2000% growth of traffic and 1000% growth of bookings within just 2 years. Now, you will think that big results mean a huge upfront investment, won’t you? Well, not at all. We prefer working with easily-digestible milestones that will help you get results and return on each step we reach. For example, a complete strategy takes a week to develop and costs just $2,000. Concerning the execution, our popular growth packages start from just $2,500 per month and depend on how quickly you want to progress.